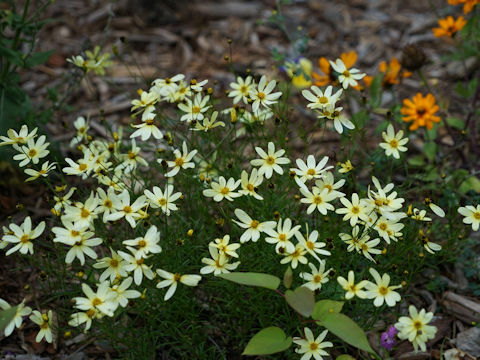 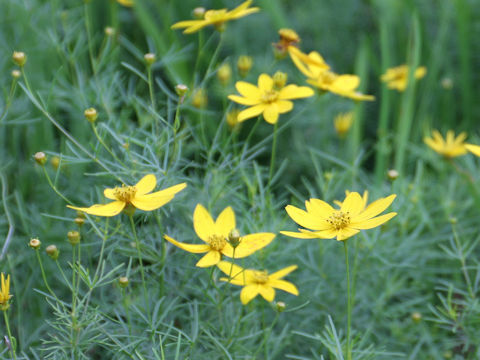 Threadleaf coreopsis (Coreopsis verticillata) belongs to the Asteraceae (the Aster family). 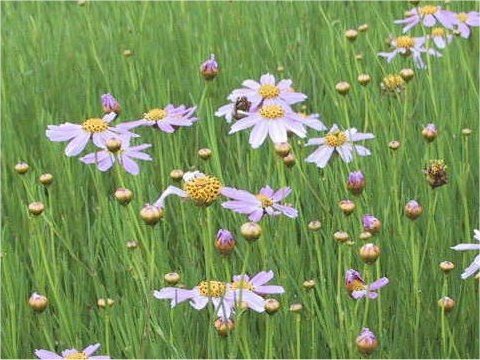 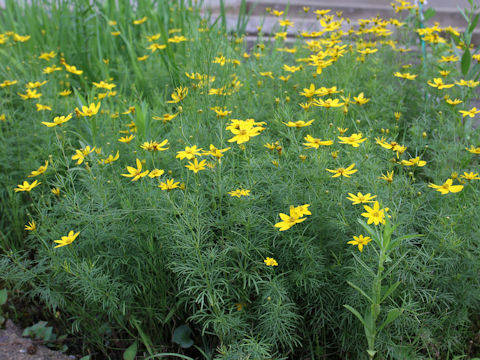 It is a perennial herb that is native to the eastern United States. 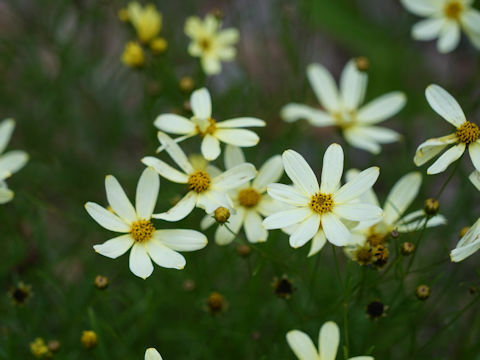 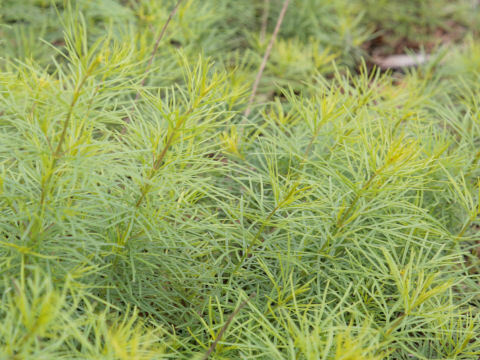 This herb grows in mountains, hillsides and coastal planes, and can reach 20-40 cm in height. 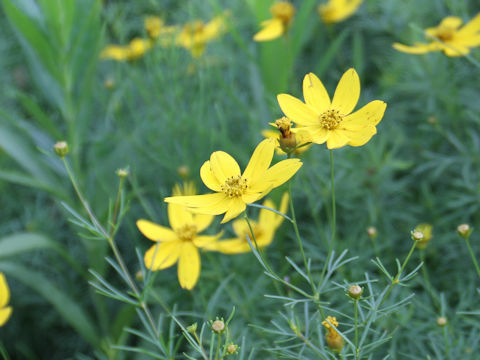 The stem is erect and the leaves are linear and whorled. 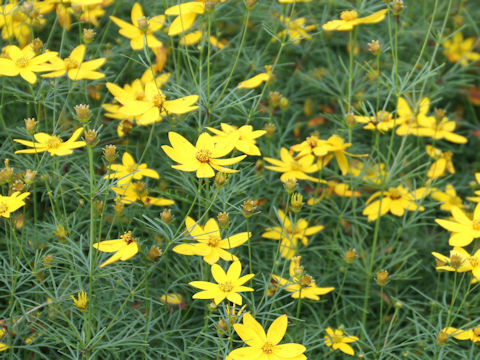 The yellow flowers bloom atop stem from June to August. 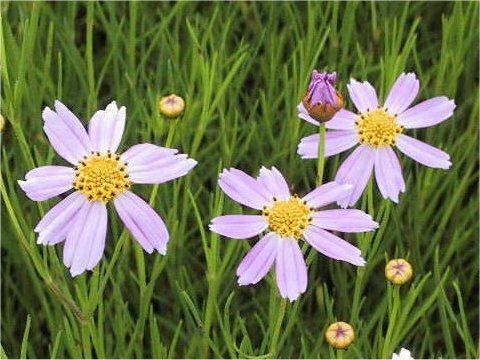 The upper two photos are a cultivar 'American Dream' which blooms small pink flowers, and the 3rd photo is a cultivar 'Zagreb'.